New research led by Queen Mary University of London and St Bartholomew's Hospital has shown that by using a combination of immunotherapy and chemotherapy the body's own immune system can be tuned to attack triple-negative breast cancer, extending survival by up to ten months. The research, which is published today in the New England Journal of Medicine and presented at the European Society for Medical Oncology 2018 Congress in Munich, also showed that the combined treatment reduced the risk of death or the cancer progressing by up to 40 per cent. Triple-negative breast cancer often affects young women, with many people diagnosed in their 40s or 50s. The standard treatment is chemotherapy, which most patients quickly develop resistance to. If the disease spreads to other parts of the body, survival is often only 12 to 15 months. The new treatment combines standard weekly chemotherapy with the immunotherapy medication atezolizumab which is given once every two weeks. The combination works by chemotherapy 'roughening up' the surface of the cancer, which enables the immune system to better recognise and therefore fight the cancer as a foreign object. 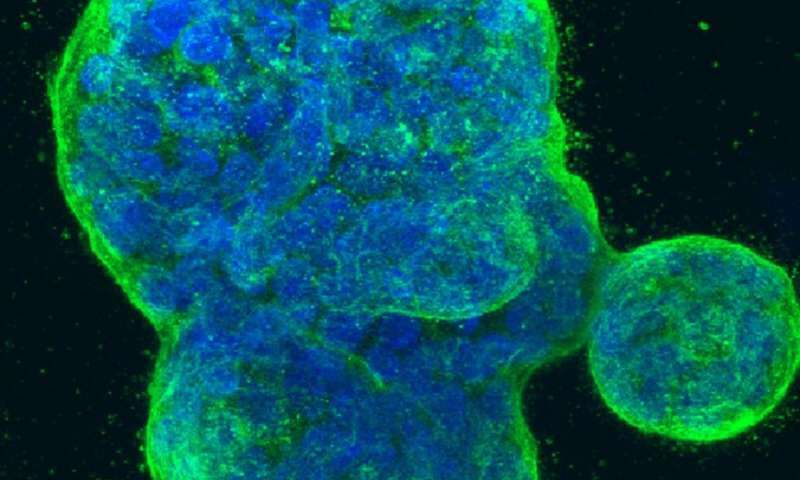 Author of the trial Professor Peter Schmid, Professor of Cancer Medicine at Queen Mary University of London and Clinical Director of the Breast Cancer Centre at St Bartholomew's Hospital, explained: "These results are a massive step forward. 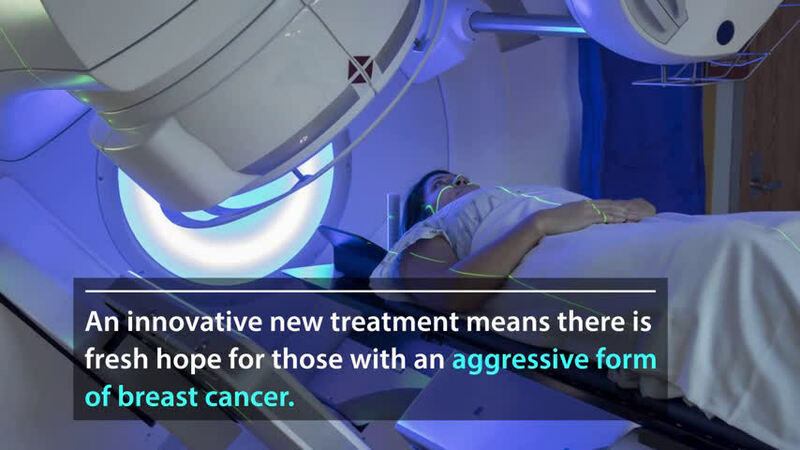 We are changing how triple-negative breast cancer is treated in proving for the first time that immune therapy has a substantial survival benefit. In a combined treatment approach, we are using chemotherapy to tear away the tumour's 'immune-protective cloak' to expose it as well as enabling people's own immune system to get at it. "Triple-negative breast cancer is an aggressive form of breast cancer; we have been desperately looking for better treatment options. It is particularly tragic that those affected are often young, with many themselves having young families. I'm thrilled that by using a combination of immunotherapy and chemotherapy we are able to significantly extend lives compared to the standard treatment of chemotherapy alone." Based on the results of this trial this new treatment is currently under review by health authorities and will hopefully become available in the NHS in the near future. In the interim, patients at St Bartholomew's Hospital with triple-negative breast cancer are offered immunotherapy within ongoing trials. More information: 'Atezolizumab and Nab-Paclitaxel in Advanced Triple-Negative Breast Cancer'. Peter Schmid et al. New England Journal of Medicine, 2018.